"It looks like you’re about on the bottom step... and on the surface." - Mission Control referring to Alan Shepard as he first stepped out onto the moon's surface. 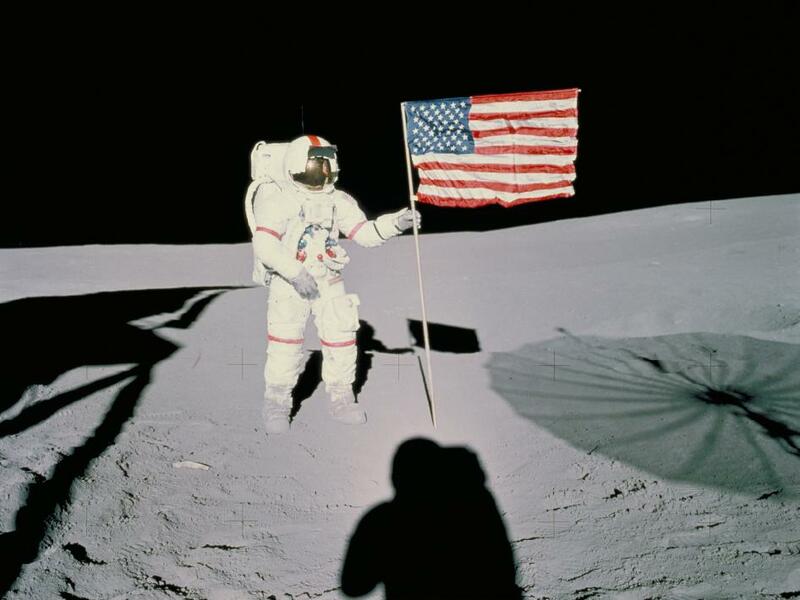 At the age of 47, Shepard was the oldest man to ever walk on the moon. I went to a very interesting night (run by Super Collider) on Monday evening which celebrated the 40th anniversary of the Apollo 14 lunar mission with a talk from Dr Christopher Riley – a broadcaster and expert on all things Apollo. Dr Riley also launched his new video installation entitled ‘Cone Crater’ - which I believe is showing throughout February at the Book Club in Shoreditch. 2)	As if that wasn't enough, the Lunar Module radar altimeter (I definitely know what this is) failed to lock onto the moons surface, which would usually be pretty hard to miss – this was determined to be a consequence of the earlier software updates (was Microsoft involved?). To remedy this, the crew basically did what you might have done when your computer breaks - they unplugged it; then plugged it back in; only it actually worked. During their stay on the moon (clocking in at about 33 hours) Shepard and Mitchell went out on two moon walks, the second of which they got very lost on. They attempted to navigate to the rim of a 300m wide crater but instead spent most of the time not actually finding it, so in the end they had to turn back - it turns out they got within 3om of it! In addition to this they also found time to fit in a spot of golf and with a make shift six-iron, Shepard managed to single-handedly (the suits were pretty cumbersome) dispatch two golf balls into the moon’s horizon. I left the talk in a state of wonder and with a sense of awe at the achievements of the Apollo missions - we'd put men on the moon (and filmed it!) before an age of portable computers, mobile phones and digital cameras. However, I couldn't help but feel slightly dejected by the current state of space exploration, especially with the planned retirement of NASAs shuttle program later this year. I wonder whether I will ever see images beamed back of someone walking on the surface of another world - sadly I very much doubt it. I'll finish this post with one of my favourite videos - a live performance of Brian Eno's Apollo music (which was created specifically for the documentary 'For All Mankind' - check it out!) this, if anything is enough to keep me wishing for a future in space.